Getting popular maths books right is incredibly difficult. When I started reading this book, I really thought that Robin Wilson had cracked it. 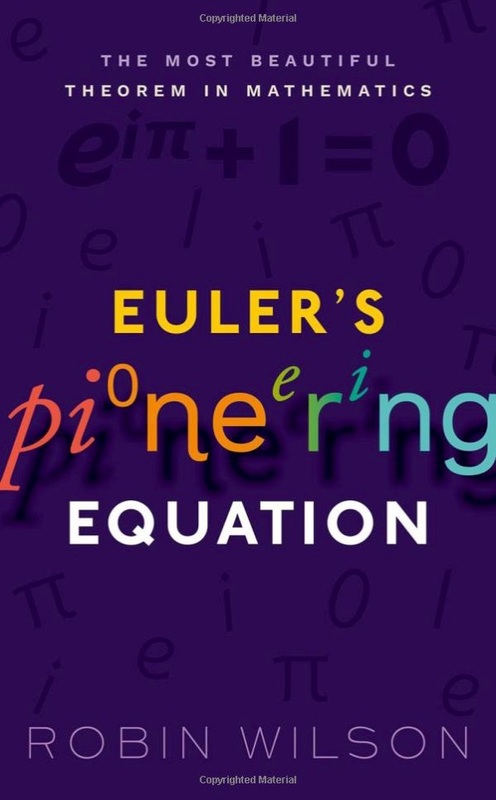 After an introduction, he gives us a chapter on each of the elements of the equation (except the plus and equals signs), from the more basic aspects like 1 and 0 to the more sophisticated components. 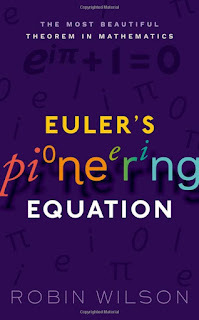 Then, in a final chapter, he pulls it all together to show why Euler's equation works and why it's useful. So far, so good. And up to and including pi, except for giving us rather too many series to approximate to it, Wilson does this very well. I really enjoyed the first few chapters. But once we get onto e and i, things go downhill. What had been pitched at a level for the general reader becomes too maths-heavy and lacks readability - and this isn't resolved in the final chapter. If anything things get worse. I'd say the bare minimum to get through the whole book is a maths A-level, but more than that, in those final chapters, only a total mathematician could enjoy what they were reading. It's such a shame, as the concept is great, the equation is fascinating and the first few chapters work so well. It's almost as if two different books have been involved in a crash and this is the result of welding together the front of one and the rear of the other. A worthy topic, but not quite the book it could have been.